Leveraging on the vast experience of the industry, we are engaged in importing, exporting and distributing Synthetic Iron Oxides. 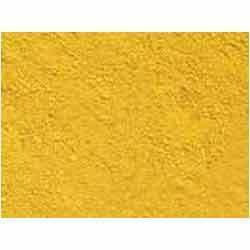 The range offered by us includes Black Iron Oxide, Yellow Iron Oxide, Red Iron Oxides, Brown Iron Oxides and few more to name. All these products are procured from authentic vendors of the market, who make use of best quality ingredients to formulate their range. Backed by the profound experience of this domain, we are engaged in importing, exporting and distributing a quality range of Yellow Iron Oxides. Sourced from the authentic vendors of the market, the iron oxide offered by us is formulated in concurrence with industry laid guidelines. Before the final dispatch to the customers, these products are stringently examined on different parameters of quality. 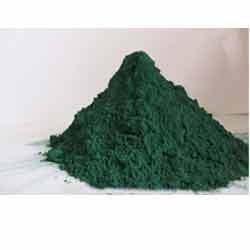 Understanding the needs of the customers, we are also engaged in importing, exporting and distributing Green Iron Oxides. Widely used as pigments in paints, colored concretes and coating, these iron oxides are formulated in tandem with norms and standards already laid by the industry. In addition to this, our vendors make use of high quality ingredients to formulate these iron oxides. Before the end delivery, a team of experts examines these iron oxides on different parameters of quality. Dark Green shade/good for parrot green also. With thorough knowledge of the industry, we are engaged in importing, exporting and distributing Brown Iron Oxides. Formulated under the strict supervision of experienced professionals, the iron oxide offered by us complies with established guidelines and standards of the industry. After procurement, our experts conduct several tests to ensure the quality and features of these brown iron oxides. 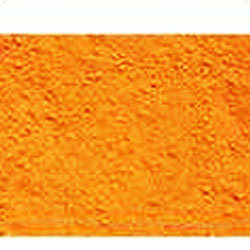 We are among the reputed organizations engaged in importing, exporting and distributing Orange Iron Oxides. While formulating these oxides, our vendors ensure to follow industry guidelines and utilize premium quality ingredients. Along with this, a team of experts supervise every stage of formulation, so as to maintain higher standards of quality and eliminate flaws, if any. 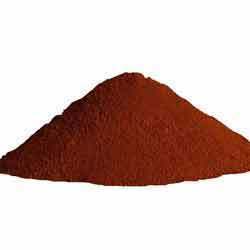 Red oxide for golden brown shade/orange shade. We are one of the leading organizations engaged in importing, exporting and distributing a Red Iron Oxides. Extensively used in iron industry, offered products are obtained from the certified vendors of the market. These iron oxides are formulated by following industry laid guidelines and using optimum quality ingredients. For slightly yellowed red tone. Keeping in sync with the times, we are engaged in importing, exporting and distributing Black Iron Oxides. Widely used as coloring agents in black iron oxide, these products are obtained from the authorized vendors of the market. The professionals appointed by our vendors make sure to follow the norms and standards already laid by the industry. Post procurement, these products are rigorously examined on different parameters and then forwarded for the final dispatch to the patrons.